911 Restoration Ventura County knows that the weather can make a big impact on the condition of your home, but our team will always be ready to lend you a hand. Heavy rainfall can lead to roof leaks and flooding which can damage your home. Our water damage West Lake Village specialists can provide you with the necessary services that can your home stay in shape. 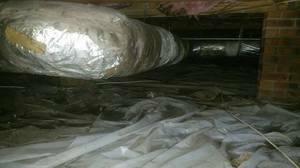 We need to move swiftly in order to prevent any further damage like wood rot or mold growth. To help you deal with any water emergencies like roof leaks, pipe bursts, toilet overflows, and flooding at home, you can expect 911 Restoration to be there within 45 minutes of your call. Our team will be then provide you with a free inspection and estimate that will help us determine the source and extent of the problem. The weather is simply something we can prepare for. When there’s a heavy downpour, there are several ways you can prevent rain from causing trouble at home. Regular clean and inspect your gutters and downspouts. Clear them of any leaves and debris to prevent clogging. Inspect your plumbing regularly, especially the older sections. This will alert you to any issues like leaks, cracks, or rust. 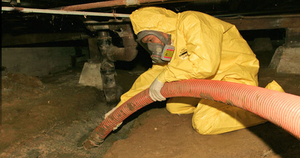 Detecting these problems early on can help you avoid a pipe burst. Check your roof for any signs of missing or damaged shingles. Make sure that the roof is in good shape to prevent ceiling leaks once it starts raining. Check the seals on your doors and windows. Any break on the watertight seals could mean water and moisture leaking into your home. Have cracks in the foundation caulked to prevent major structural problems to your home. Whenever you’re in need of help with water-related concerns, make sure you call 911 Restoration right away. We can assist you in repairing and restoring all water damaged sections of your home. We are licensed, insured and bonded to provide our customers peace of mind in knowing that your restoration needs are being met by the most capable and best restoration company around. To provide you with the highest level of repair and restoration, our team will be making use of the latest drying technology that will effectively extract water and moisture out of your home. Our specialists are also licensed, bonded, and insured. We’ve taken on various water-related problems through our 35 years of experience. Whether it’s leaking water heaters, sewage backups, mold growth, disaster damage, or flooding, you can trust that our team will make your home look good as new. Even when disaster strikes at the most inconvenient time, it’s not going to be a problem for 911 Restoration. Our team is available 24/7/365 to provide you with the assistance you need on the day you need it. We will also work with your insurance company to help you file your claim and to provide you with the most affordable price. With all the benefits that 911 Restoration Ventura can provide, we’re the water damage restoration company that you can always turn to. 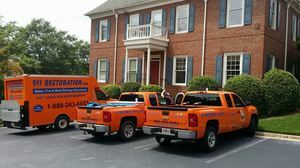 If your home or office is already dealing with flooding, then contact our water damage restoration Westlake Village team with 911 Restoration Ventura today!